Getting the right style while traveling can be a nightmare. Not to worry, the right hair dryer for your hair will make all the difference. Nowadays, Hair dryers have been an integral part of achieving good hairdo. Over the years; they have evolved not only to dry your hairs but condition it by giving you a healthy-looking shine as well. 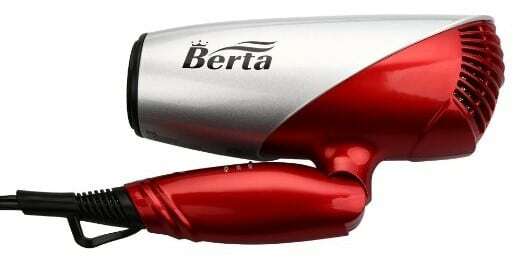 If you are looking for best dual voltage hair dryers, then you have landed up at the right place. Some women are confused by all of the terminologies that surrounds hair dryers these days; after all what you want is to dry your hair fast, right? Wrong! By locking in the moisture, dryers these days are more sophisticated. Don’t damage your hair with excess heat, choose a correct hair dryer. The basics need to be considered first. Think about whether you plan to use the hair dryer abroad or in the USA. Also, consider whether you need any attachments with the dryer and whether it's going to protect your hair with built in frizz treatment. All travel hair dryers must fold and be light, otherwise what's the point! 1. 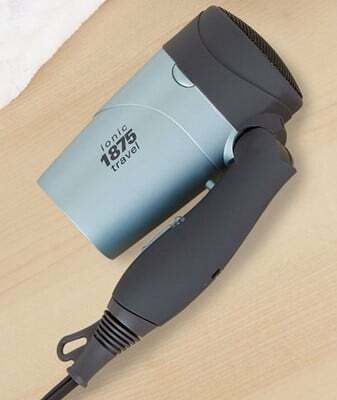 Do you plan to use your travel hair dryer abroad? If you do, a product with dual voltage is a must. Europe and most other countries in the world have a voltage that is twice that of here in the USA and Japan. While we work of 120 volts, Europe and the rest of the world is 240 volts. The point is voltage isn't the same everywhere. And if you try to use your hair dryer designed for the US market in rest of the world it won't work. In fact, they could blow out. You would need a transformer. And frankly, it's simpler just to buy a hair dryer with dual voltage! 2. Does the hair dryer come with any attachments? It isn't that common for travel hair dryers to come with a concentration nozzle. The idea is to save space. But if it does, the performance of the hair dryer is often vastly improved, especially if you're drying your hair straight. Now, if a concentration nozzle is unusual, you can imagine that no travel hair dryers come with diffusers. They're large. No getting around that. But it is possible to buy them separately. If that's important to you, then this is something to consider. A much smoother look will be achieved with a hair dryer with Negative Ions or Tourmaline Technology. I think, almost everyone's hair can benefit from this! If you suffer from frizzy hair anyway, this is something to consider. That's the basics covered. But this is a hair dryer we're talking about. It needs to give you a great look, has fantastic drying power and a heat setting to suit your individual hair. It isn't just about convenience; it needs to work! Obviously, if you're traveling in the USA, you can be sure that a domestic travel hair dryer will work anywhere. But while traveling abroad, as well as having to consider the power voltage, you may also need a proper travel adapter. 5. Did you know that different countries have different types of electrical sockets? Without a plug adapter, your lovely travel hair dryer will be useless anywhere outside of US, Canada, Mexico, Caribbean, Korea, Japan, Taiwan and some parts of South America. There are many Ionic Dual Voltage Travel Hair Dryers in the market. But most will only have one setting that works when you change to a higher voltage in a foreign country. If you want an appliance that can give you 2 heat settings while overseas, you need to look harder for it. The Brookstone Ionic Dual Voltage Professional Hair Dryer is one of the few that has this capability. 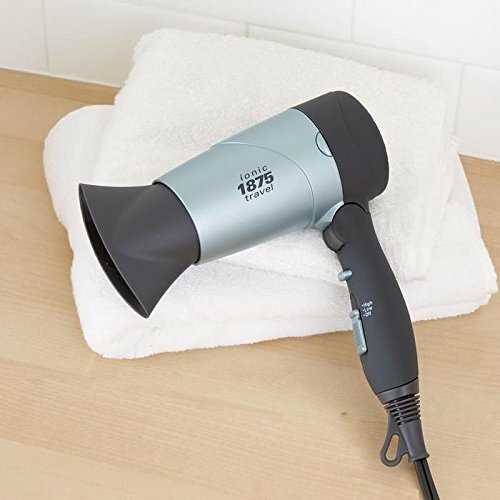 At 1875 watts, this Brookstone hair dryer is a powerful little appliance that emits negative ions to offset hot and dry air that damages your hair. The ionic feature reduces flyaways and cut down on the frizz. Your hair will show better luster and volume with regular use of an ionic hair dryer. Not to be left out is a Cool Shot button in addition to 2 heat/fan settings. The Dual Voltage feature means you can use it worldwide. A folding handle ensures packing convenience. Not everyone will need a diffuser but for the price that it is selling at, throwing in a diffuser would be a bonus. The cord length of this is slightly longer than 5.5 feet. When folded, it has a height of about 3.5 inches. Its length is roughly 7 inches and weighs about 1 lb. It is powerful and can dry your hair fast while reducing the flyaways. Thus, the higher price may be worth paying. Furthermore, it tends to have a longer lifespan than other brands, and this may work out to be more economical in the long run. You will notice many negative reviews of short lifespan in hair dryers these days. Even branded ones with premium prices have their fair share of complaints, but the Brookstone Ionic hairdryer is an exception. Many reviews on various retailers’ websites have pointed to the longevity of this appliance. 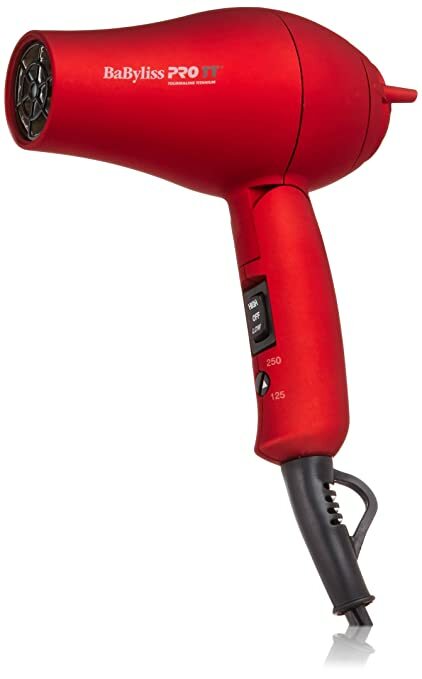 This hair dryer can blow dry thick and coarse hair pretty quickly. "The Brookstone Ionic Hair Dryer is a portable model that you wouldn’t mind using as your everyday hair dryer." The Conair 1875 Watt Dryer is designed with an ergonomic handle for ease and comfort of use. It features 2 heat and speed settings. With its powerful motor and features, this dryer will make styling quick and easy. 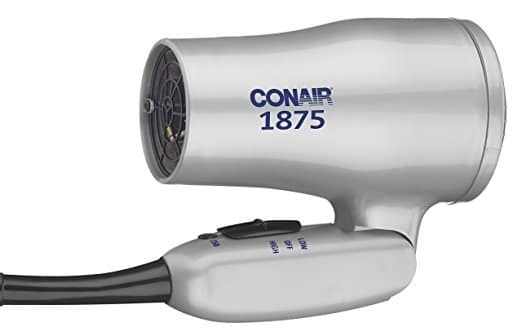 Conair 1875 Watt Hair Dryer is great, which is fold-able, dual voltage and emits negative ions. This may not be the "pro" standard of Tourmaline, but it’s pretty good. Negative ions interact with wet hair by breaking up the water molecules. This lets smaller droplets of water penetrate the outer layer of the hair shaft. "It reduces the hair's surface tension and leaves you with shiny, frizz-free locks. It is one of the best travel hairdryers for Europe." 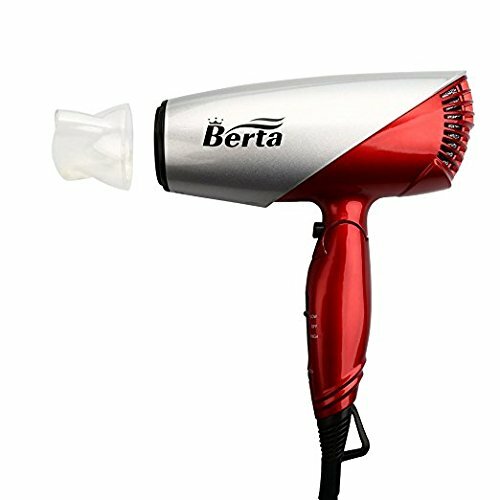 This Berta Ionic Hair Dryer is a basic and straightforward hair styling tool that has the strength and durability of a salon-grade dryer. 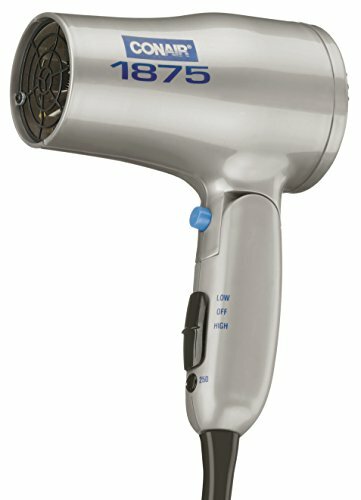 It has an 1875 watt motor and features 2 speed and 3 heat settings for versatility and precision styling capabilities. The brand claims that it emits 100 times more negative ions versus the majority of ionic dryers in the market, which means you’ll end up with super-silky and smooth hair in few minutes, if you have shoulder-length, fine hair. It has Dual Voltage and folding handle for worldwide travel and easy storage. Tourmaline Ceramic Techn﻿﻿olog﻿﻿y, natural ionic output helps fight frizz and bring out natural shine. With its lightweight body, it houses a cool shot button. And 1.8-meter cord with a hanging loop is included within the packaging. Its soft curved design with white color body seems to be fashionable and classic. It comes with a concentrator hence, you can create straight and super sleek, shiny hair, as well as a diffuser that brings in the volume for beautiful curls or waves. "It has double stall type air inlets, which allows you to style as you please without worrying about hair strands accidentally getting caught in the nozzle." 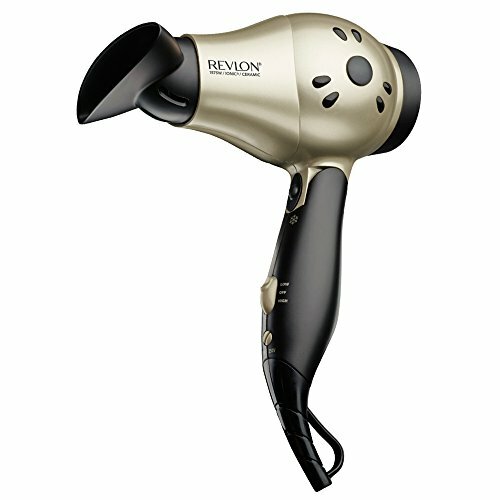 The only thing that makes this dryer Revlon Perfect Heat Dryer a step down from perfect is its power. The dryer is equipped with a folding handle to make packing convenient. It has 1875 Watts of power that gives you superior strength, cutting styling time to a fraction, and drying your full head of hair in less than 5 minutes. There are 2 speed and heat settings for drying and styling flexibility. When you don’t want to dry your hair completely, like in cases when you want to apply some ﻿serum, you can use the lower setting, along with a cold shot to set your hair style. It uses Triple-Based Ceramic for even heat distribution, faster heating, and healthier application. The cold shot button allows you to lock-in style by replacing the cool air. The ceramic materials used in this dryer allows you to have shine, volume, frizz-free, and healthier looking locks without any damage. It’s incredibly lightweight; 25% lighter than most dryers in the market. Well, it comes with Champagne spray finish and includes a concentrator. 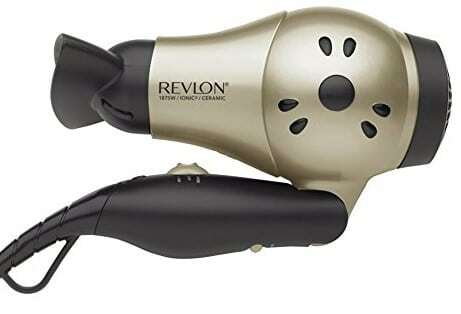 "Revlon Perfect Heat Dryer is one of the best-selling ionic hair dryers in the market today; it is being used by thousands of stylists and homeowners." BaBylissPRO has outstanding technologies to give your hair a sleek, stylish look. The splendid combination of Tourmaline Titanium with Ionic Generator gives vibrant mixture for hair drying. The far-infrared heat dries hair faster, which protects it from heat damage. This powerful, compact dryer is just the right size, lightweight, and easy to pack. For perfect styling, shorter handle and nozzle with the extra concentrator is included. Though only 1000 watts, which is enough to dry fine hair, it uses the Tourmaline Titanium Technology, which emits up to six times more negative ions than ceramic hair dryers. With dual voltage, it has a switch right on the handle to flip from 125 to 250, a feature not often seen. This leaves no room for guessing if your hair dryer will work properly once you get to your destination. It folds neatly and compactly and comes with a filter and stand for easy cleaning on the go. Just because you’re away from home doesn’t mean you need to look different or feel uncomfortable about your appearance. 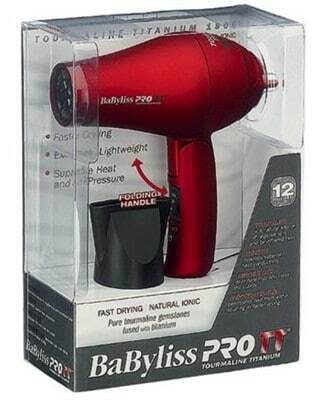 BaBylissPro﻿﻿ Hair Dryer is truly one of the best Travel blow dryers. "Using a trusted brand like Babyliss will help you travel with confidence and style." Be sure to take your hair type, length, and style preference into consideration when buying a dual voltage blow dryer, so you don't buy an expensive one with features that you don't necessarily need. The ergonomics of the hair dryer, its weight and the placement of its buttons are all important things to think about as well when researching different models. For a hair dryer that will last, look for one that has a swivel cord, and a removable lint filter for easy cleaning. You don't need to spend $250 on a hair dryer, but a quality ionic hair dryer for around $100 is a good investment in the health of your hair and will probably save your time and money in the long run. With the right combination of styling products and tools, anyone can get salon quality hair while traveling. I hope my article cleared all your doubts regarding dual voltage hair dryers. The Best 32mm Curling Wands – Perfect for Beach Waves!